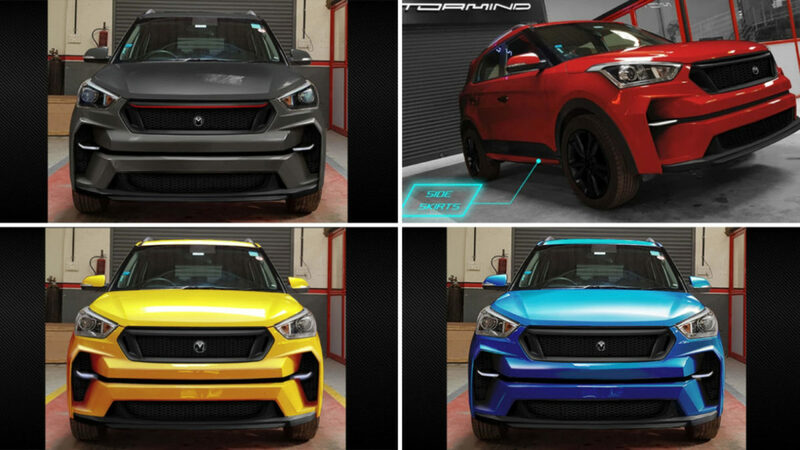 Bangalore-based customisation service, Motormind, has revealed new body kit for the Hyundai Creta that completely transforms the look of the compact SUV. The kits are available for Creta owners in the international markets and Indian markets too. It is a bolt-on kit and can be installed at any local workshop without much effort. It is called the Deadlift body kit. Motormind has put a price tag of Rs. 72,800 on the kit, which is currently on discount. The original price of the kit is Rs. 1.08 lakh. It can be shipped to any part of India. 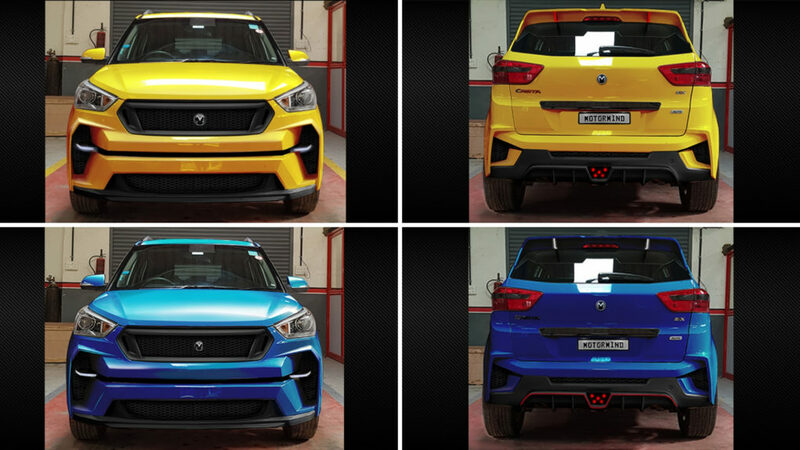 The Deadman kit consists of various parts like front grille, front bumper, rear bumper, side skirts, diffuser, fender flares and roof-mounted rear spoiler. If the customer wants, the parts can be painted in custom colour too. Additionally, the kit also offers horizontal DRLs positioned inside the large scoops on the bumper and the side skirts. The rear can be completely transformed with aftermarket LED lamps too. The cost of the LED lights is extra. Motormind also offers the parts individually if the customer wants to buy a particular part. Not the exteriors, Motormind also offers interior styling kit that can provide a range of options. The interior styling kit can add various colours to the cabin or add classy carbon fibre finish. The prices of the interior styling kits depend on the options and the price starts at Rs. 20,000. They are bolt-on kits and do not require any drilling of the original body. They can be removed when required too. The Hyundai Creta is an exceptionally popular SUV in the Indian market. The Creta has become a common sight on the roads and this styling kit will ensure that it looks different from the numerous Hyundai Creta present on the road. This engine kit can increase the overall weight of the vehicle, which can affect the performance of the vehicle and decrease the fuel efficiency too. It should be noted that the Supreme Court of India has also banned modifications of any cars but has not set a clear guideline on it yet.